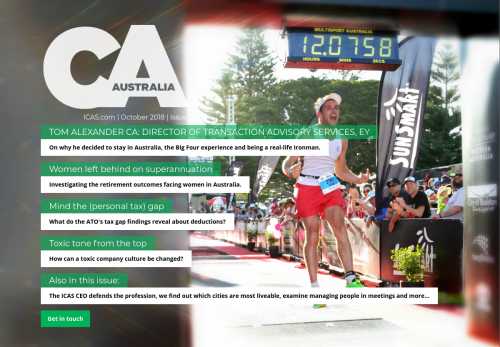 On why he decided to stay in Australia, the Big Four experience and being a real-life Ironman. Investigating the retirement outcomes facing women in Australia. What do the ATO's tax gap findings reveal about deductions? How can a toxic company culture be changed?